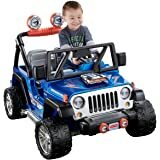 FUN TODDLER CAR: Quality kids car reaches 2.5 MPH maximum forward/reverse speed capabilities for fun and safety. 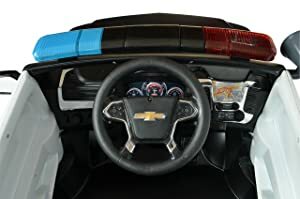 FUNCTIONAL FEATURES: Integrated battery life indicator, cup holders, opening storage department, detailed dashboard, 2 opening doors, rubber traction strips, and chrome rims make this ride on car realistic and functional. 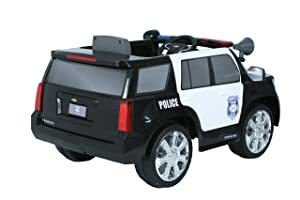 AUTHENTIC DETAILS: Features working horn/engine sounds and LED headlights plus emergency sounds, lights and loudspeaker for a realistic feel (2 AA batteries required, not included). 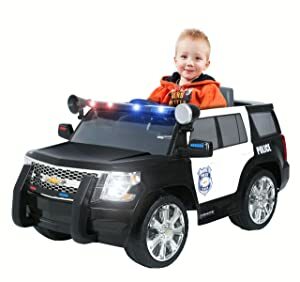 INCLUDES AUX CORD: Your kindergarten cop can ride along to his or her own music through the provided MP3 AUX cord with speakers. 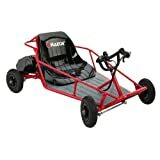 COMPACT KIDS SIZE: Overall Dimensions: 47.1"(L) x 24.4"(W) x 30.2"(H); Weight Capacity: 77 lbs. 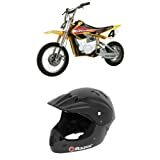 ; Recommended for ages 3 and up. 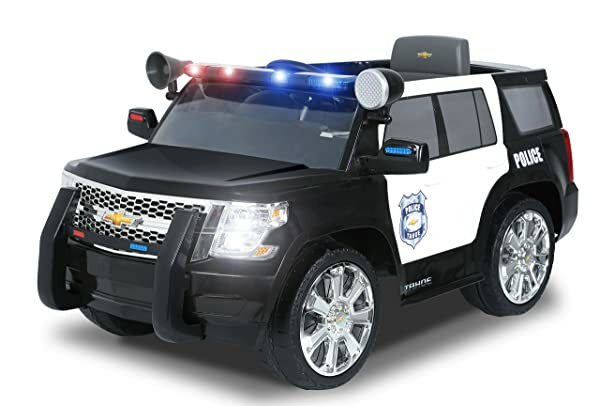 The Rollplay Chevy Tahoe Police SUV was created with kids in mind: the SUV's wide design ensures a consistent stable ride and provides two working doors to keep your child safely inside. 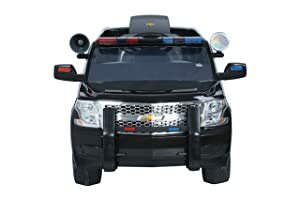 The seating area has plenty of space for sure footing, while the easy to turn and swivel steering wheel makes the Tahoe SUV easy for little hands to maneuver and avoid those tricky driving obstacles. 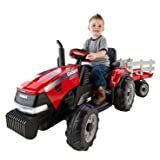 The large wheels and body boasts full life-like design inside as well - which includes a realistic windshield, side-view mirrors and an opening storage compartment. 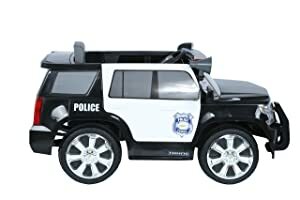 Sculpted from heavy-duty plastic, the SUV's frame is sure to stay free of rust and is guaranteed with a 1 year warranty that parents know they can count on. 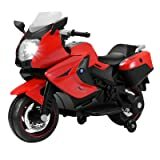 The 6-Volt battery, with a 6-month warranty, includes a battery life indicator, so you'll know when it's time for a pit stop. 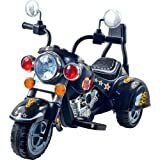 With a maximum weight limit of 77 lbs., this SUV is recommended for children 3+ years of age. Minimal assembly is required before use.